Path-breaking innovations and novel ideas are known to grace the world of Digital Marketing each new day. The same applies to the dynasmic world of Search Engine Optimization as well. Thanks to the onset of Voice Search however, the entire landscape of search optimization is expected to shift dramatically and irreversibly very, very soon. As a matter of fact, the shift has already begun with over 50% of teens and over 40% of adults already using Voice Search tools on a regular basis to begin with as per this recent Google survey. So let us now discover more wisdom upon how you too can ensure that your website is more appropriately optimized for responding to Voice Search commands effectively and efficiently on any given day. Is it Siri, Google Now, Cortana or Alexa? Which Voice Search Engine are you primarily looking to optimize your website for? In the answer to this question lies the blueprint to your core SEO strategy recommendation. Recent findings by IDC for the year 2016 have indicated that the share of iOS in Voice Searches is a mere 15.3% while Android’s market share in the same category stands at a whopping 83.7%! This should give you a good idea of which Voice Search Engine to optimize your website for. 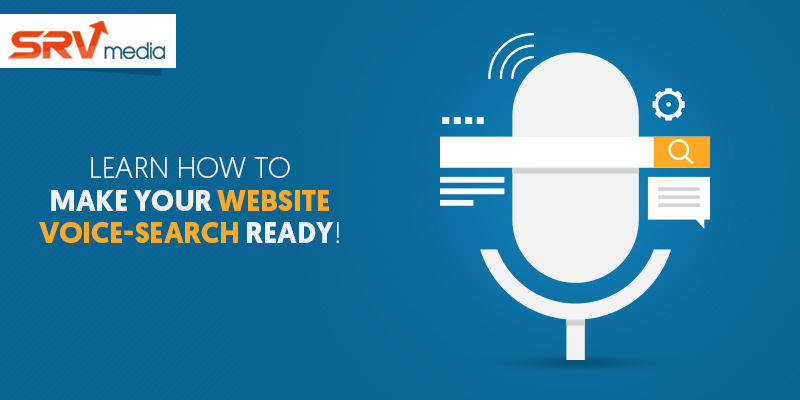 You’ll be thrilled to find out that some of the most critical information essential for optimizing your website (to effectively respond to voice search commands from users) can be easily found out on the respective Search Engines’ very own user manuals! Through the use of these manuals and other third-party lists developed for the same purpose, you can efficiently and effectively SEO optimize your website to dynamically respond to Voice Search-specific questions, phrases and queries imitative of your consumers’ search behavior. User search behaviors for text-based search engines (such as Google, Bing etc.) vastly differ from their search behaviors for Voice Search Engines such as Cortana or Alexa. Which is why we would actively encourage you to listen to your target users’ specific interactions with various Voice Search Engines (while the users themselves search for websites/information sources relevant to you/your business). This will enable you to effectively know all possible search queries and phrases (used by users while searching for a given topic) on a given Voice Search Engine. Most voice searches these days are conducted through mobile devices such as smartphones or tablets. Needless to say then that your personal/professional website is of little use to its prospective users unless it has been designed with a responsive web design in place to begin with. In fact, it is highly recommended that you use free-tools such as Google’s Mobile-Friendly Test and WebPageTest in order to make your website fast-loading and user-friendly for all mobile device users across the globe. Most Search Engines (Voice Search Engines included) are no good at crawling images for obtaining text-based information. What this means is that your website needs all of your basic information (such as Name/Business Name, Physical Address, Contact Details, Directions etc.) written down in text in order to be truly local-search friendly for all users concerned. It is quintessential to keep testing the Voice Search phrases/queries being optimized on your website repeatedly for achieving the best results (in terms of SEO Keyword Rankings). These tests should be done separately for each Voice Search platform under consideration. Doing so can help you minimize your risks while giving you a general idea of how well your Search Keywords are doing in the cryptic domains of Voice Search. At this point, it also makes for a great idea to involve an SEO Company of good reputation such as SRV Media to assist you in improving your organic SEO capabilities. As Search Engines evolve, so must we. Which is why it is best to stay up-to-date with all of the latest trends and happenings in the world of SEO and Digital Media in order to best improve our chances of staying afloat in a volatile world of ever-changing technologies and innovations. Thank you for reading! Next story How To Kick-start Your Brand’s Marketing : A Complete Guide! Previous story Where is SEO headed in the Future?